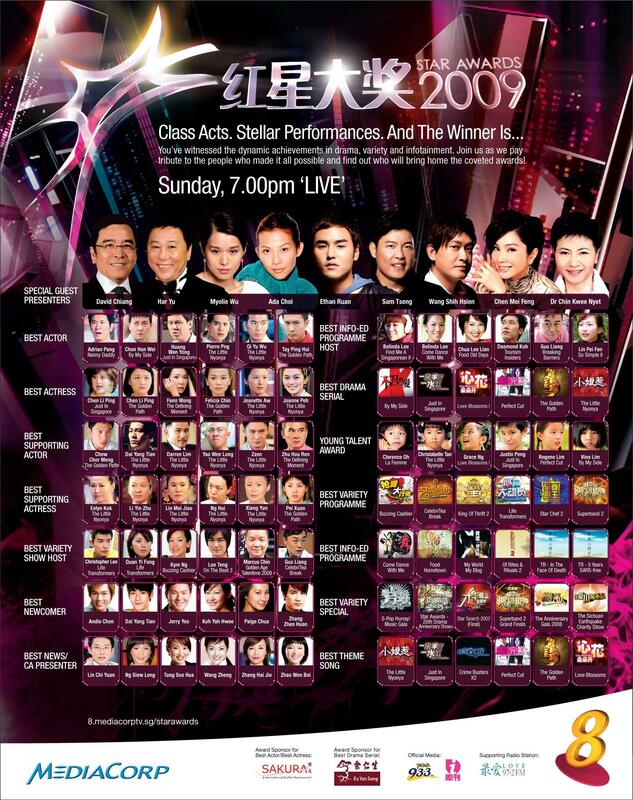 It is still Little Nonya ‘s world for this year’s Star Awards .. though not as big as they wanted.. Nope they didn’t win all 16 nominations..
Congrats to Huang BiRen for being awarded the "All Time Favourite Artiste 超级红星大奖" . I really found her coolz, got style and can act!! Those in black are my choices/guesses. If being strike off, means that my guess was wrong and the correct winner is in the blue colour. My guess for TOP 10, 7 matches.. Congratulation all!